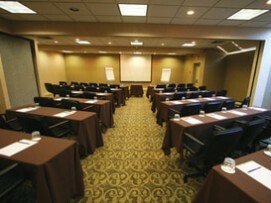 Interlaken's meeting and conference facilities are designed to fulfill all of your corporate needs. 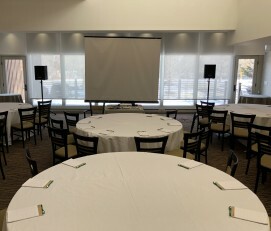 With six separate and distinct settings, we can provide the right meeting room and furnishings for your group, without making you feel like it's another 'cookie-cutter' set-up. 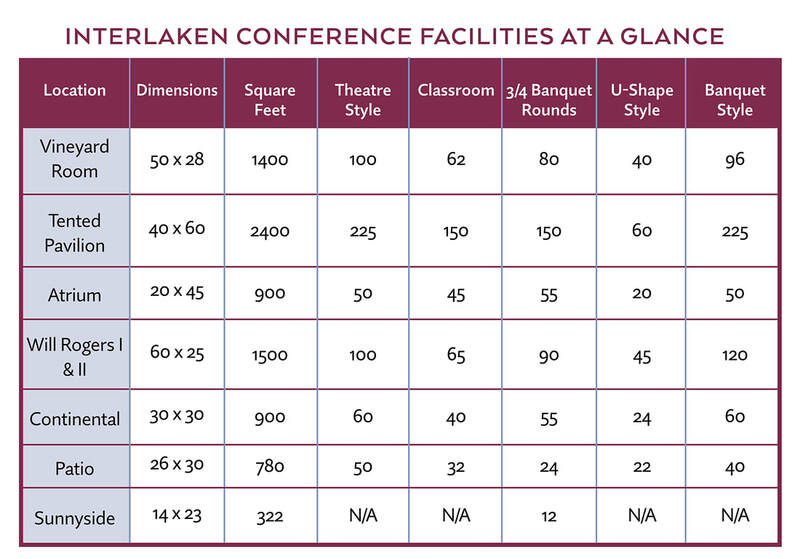 The Interlaken Inn's conference and meeting rooms offer the latest business features - high speed wireless internet, LCD projectors, wired network / internet access, and all standard audiovisual equipment. 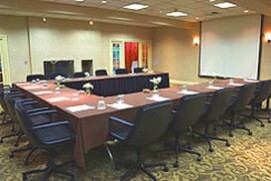 The Vineyard Room - New! We’ve made some changes in our Vineyard Room to make it an ideal meeting space for groups of 20 to 60 people. With large windows allowing an abundance of natural light, this room has 1,400 square feet of space and can be set up in a variety of ways depending upon your preferences. Black-out blinds deliver the darkness as needed during all video/computer presentations. The room's glass doors open onto our new outdoor deck area, perfect for attendees to gain some fresh air during break time or gather for cocktails at the end of the day. Our 900-square-foot Atrium with skylights, huge windows and a touch of elegance, provides a comfortable U-shape for 15 to 55 people with seating in three-quarter round style. 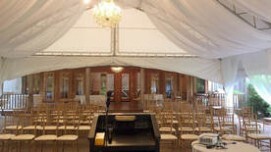 Our largest and most unique space, the Tented Pavilion accommodates 20 to 160 people and has the ability for projector/screen presentations. This permanent tent structure over a beautifully designed brick terrace is surrounded by lush country gardens, and in open air during warmer months. 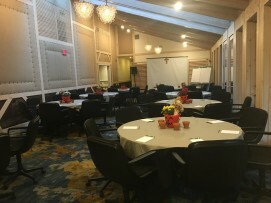 Located off our Lower Lobby in the Main Building, this room is “L-shaped” and can be divided into two separate meeting rooms perfect for breakout sessions. Offering 1500 square feet of space, natural light, and 9’ ceilings, this room can accommodate many different styles of room sets. Accessible off the Lower Lobby in the Main Building as well as from the lawn and gardens, the Continental Room is a 30’ x 30’ meeting room with gas fireplace, 9’ ceilings and French Doors leading to the Continental Patio. The Continental Patio is the perfect indoor/outdoor meeting space with three walls of sliding glass windows opening to a slate terrace and views of manicured gardens. It also serves as the perfect breakout room to the Continental Room, a beautiful location for a casual BBQ dinner or reception.